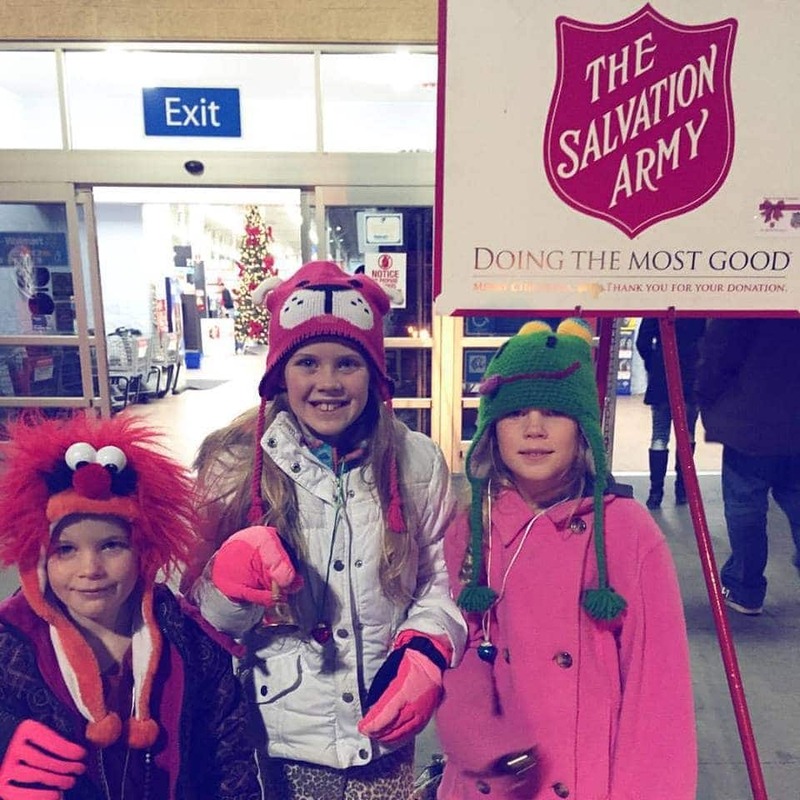 From Instagram: Sweet bell ringers! The month of December is flying by at an alarming pace. Our baby is now 5 weeks old and we’re already halfway to Christmas! We’re having a lot of fun, but I wish it would just slow down so I could soak it in. I wasn’t sure we were going to be able to make bell ringing work this year, but thanks to warmer-than-usual temperatures and a short shift, we did! Lucas stayed cozy and warm in the Boba carrier, and these three girls rang their bells, said Merry Christmas to everyone who passed by and sang songs. We had some friends join us for about 45 minutes, which made it even more fun for everyone! We decided to serve food at the local shelter for homeless and organize food drives for that pantry rather than ring the bell. The Salvation Army’s anti LGBT policy is unexceptable to me.